Today’s guest, John Michael Pesky, played for the Red Sox from 1942 to 1954, excepting 3 years in WWII service, and has worked for them in a advisory or promotional role ever since. 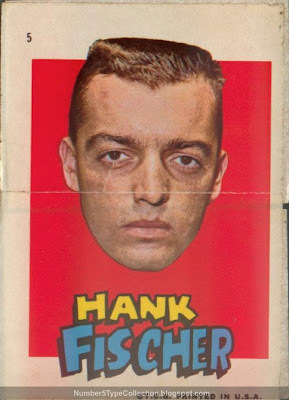 He appears in 2 of Topps' earliest issues, in portrait on the 2" x 3" 1951 Blue Back and full-size as 1952 Topps #15. 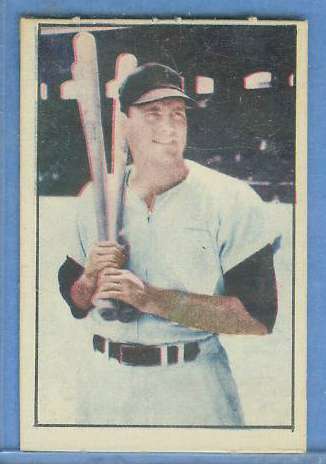 A few years back, my first trip to the Baseball HOF coincided with promotional showings of the movie companion to the book The Teammates, which features Boston's own Ted Williams, Bobby Doerr, and Dom DiMaggio. I live nearby, so am slightly biased, but the show’s collection of film, interviews, and chronology really pumped my enthusiasm for the game’s Golden Age. 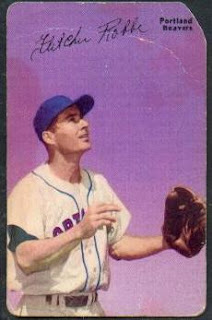 Like the more common Red Back set, Blue Back cards portray player busts hovering above a baseball diamond like disembodied gods. 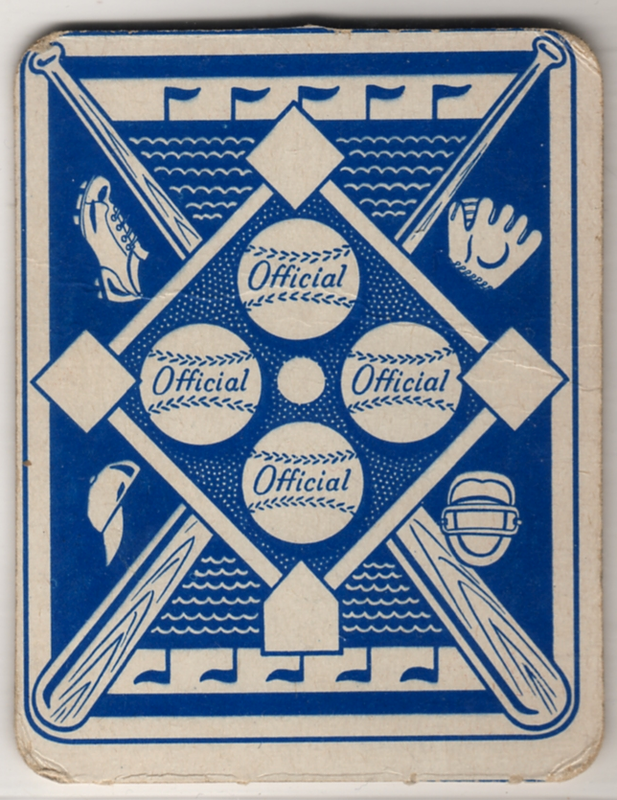 They’re also known as “Doubles,” as Topps joined two cards with a perforated edge for each penny pack. 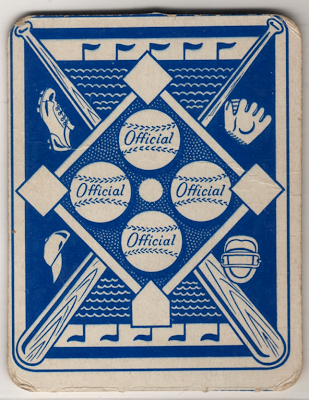 Set collectors could use the play results, like the “OUT” shown here, to hack out a tabletop game of baseball. This theme recurs throughout card history, starting as far back as the 1910s and continuing to my own childhood play, put into action with 1978’s card backs. 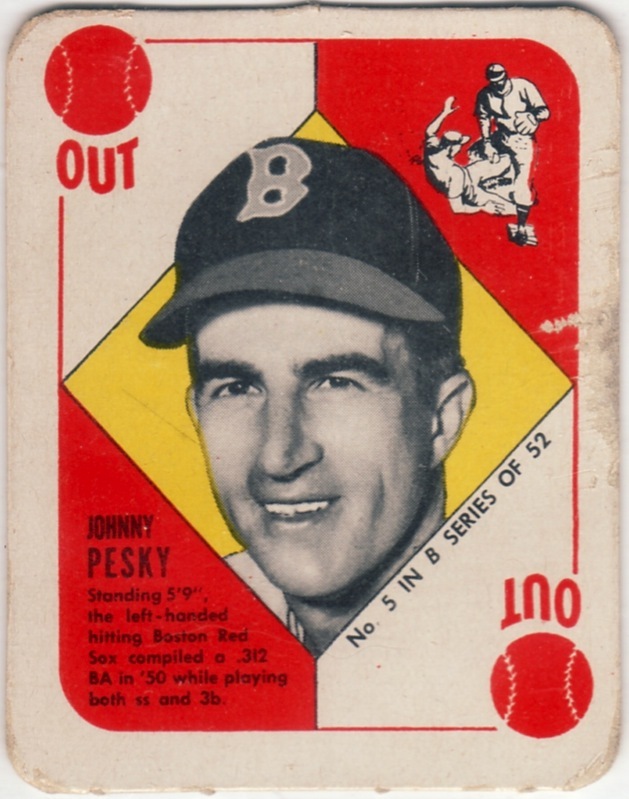 When my vintage collecting group gets together, sometimes we bust out the 1951s—typically the easier Red Backs—for nine papery innings. 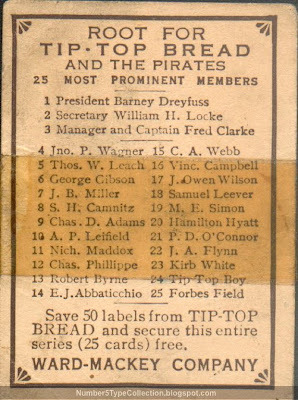 Anything prefaced by “W” in the card catalog means a strip card, so the W517s originally came in attached rows ready for cutting by a vending machine or scissors. Many examples, even the hatchet job that I own and picture here, show a vestige of dotted line along the edge. 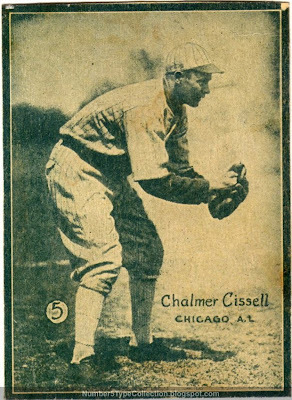 The 54-card, blank-backed set features real photos, a vast improvement over typical hand-drawn 1920s strip cards. You can find three forms of this set, large, small, and (what I've got) large-trimmed-to-small. 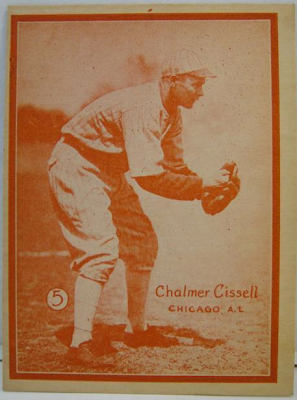 The “mini” versions use the same image and proportions, but printed on a smaller paper strip. This probably made them cheaper to produce, a key consideration in the lousy 1930s economy. Multiple print runs created a handful of variations, including Mr. Cissell listed on both Cleveland and Chicago. 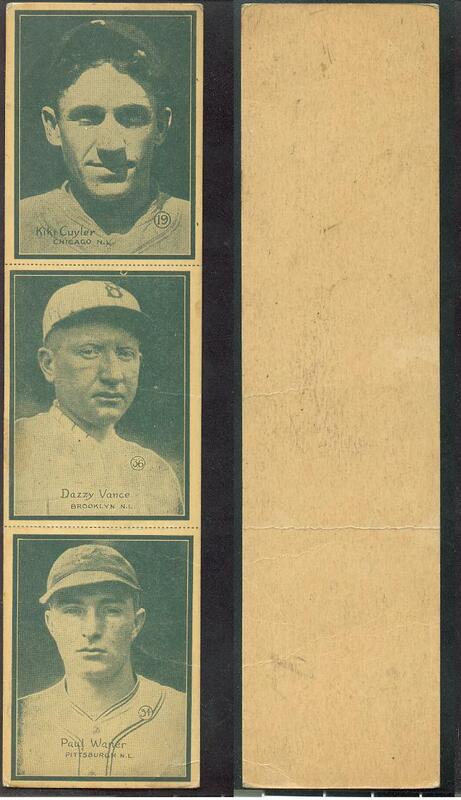 The W517s present a decent, collectible group of newspaper-like player photos. 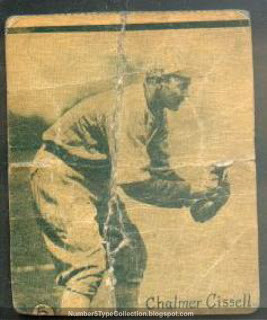 A recent Robert Edwards auction shows off both an original photo (of Babe Ruth) and the final product. While its overall quality lacks refinement, the set compares well to the dearth of interesting cards (and poor card stock) from that era. 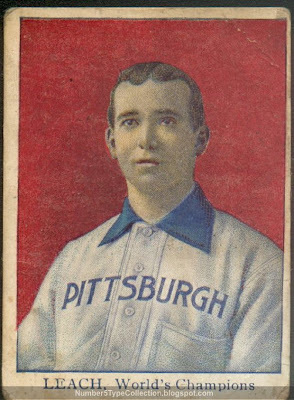 The rising cost of all the HOFers makes it pretty hard to finish, but at least you only need a few dozen cards to do so. 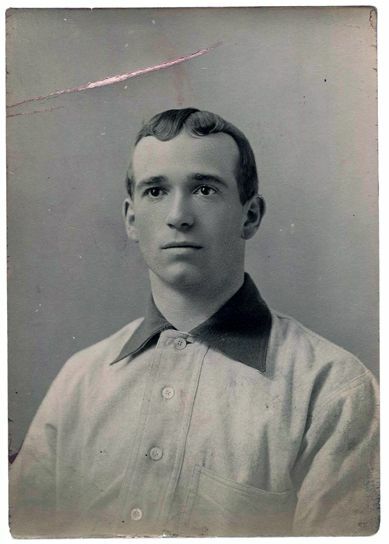 UPDATE: Thee more scans of a Cleveland version and tint variations.